In Scotland, he explained, there are 41 lifeboat stations, with 31 of the all-weather craft supported by 25 inshore RIBS. Across the UK and the Republic of Ireland, where the RNLI also operates, there are some 8,500 launches a year, with, on average, 22 people a day being rescued. All this is achieved almost entirely by volunteers, and without access to any public funding. It requires £180 million each year to support the RNLI’s operations, for which it relies entirely on donations from the public. The organization now has 500,000 members of the public who have demonstrated their support. But, Roger emphasized, it would be wrong to see the work of RNLI solely in the context of the work of its lifeboats: RNLI’s operations spread much wider. The RNLI now provides lifeguards on a number of beaches known to be particularly hazardous to swimmers and other sports. Recent tragedies have highlighted the importance of this work. A further contribution is made by the RNLI in flood rescues. A number of centres have been established across the UK, including one in Perth, supporting the work of the Fire and Rescue Service. A relatively new feature of the RNLI’s work, but one seen as being of great value, is its role in educating the public about the potential dangers of water-based activities. Roger emphasized this: “More than 100 people are drowned each year around our coasts. Our advice is summarized by our initiatives ‘Respect the Water’ and ‘Float to Live’. Each of these initiatives has been important in avoiding further deaths. This educational programme has recently been extended to an international dimension, where advice and guidance has been given to help reduce the number of water-related deaths across the world, estimated to be as many as 360,000 each year, mainly of young children. President Elect John Kilby, acting as Speaker’s Host, congratulated Roger on his talk. 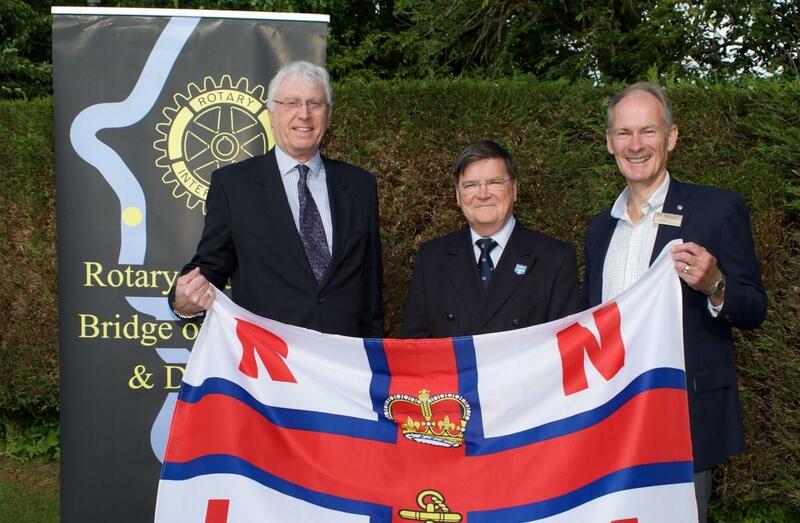 He had given an excellent account of the importance of the work of the RNLI, and its extraordinary dedication and commitment to the saving of lives.